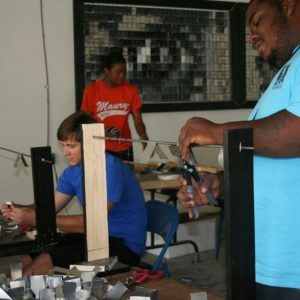 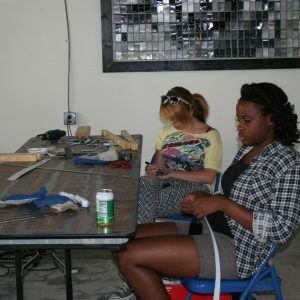 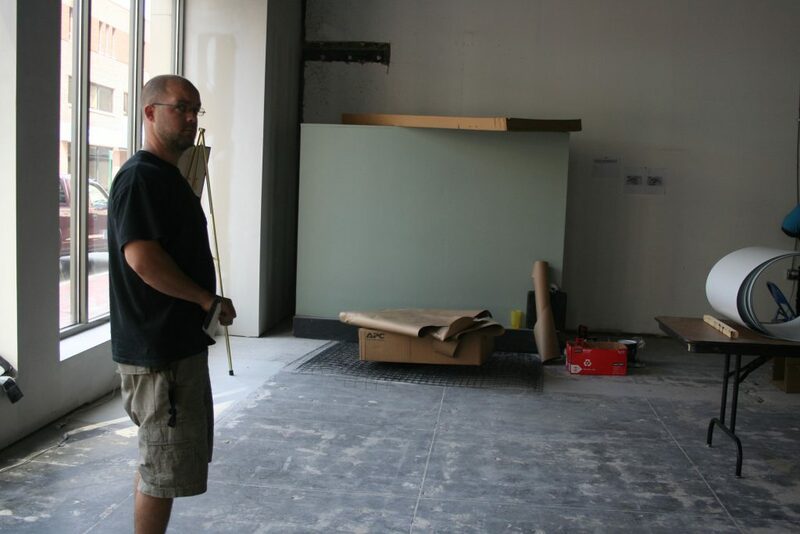 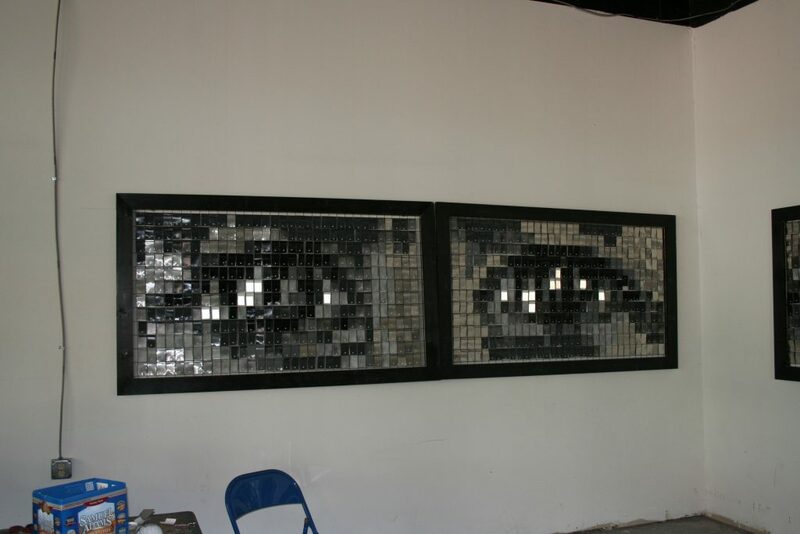 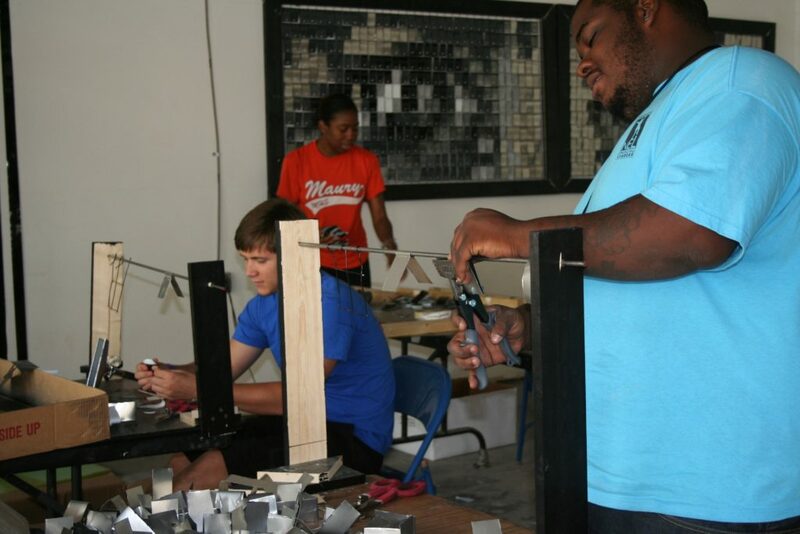 John Rudel worked with student’s of Norfolk’s Emerging Leaders program to create “Eyes”, a piece that relates to the traditional summer camp craft project called “God’s Eyes”. 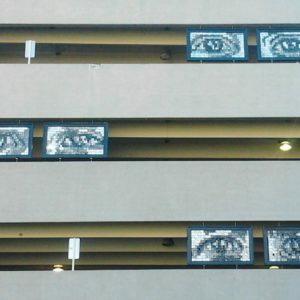 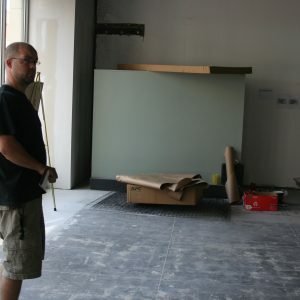 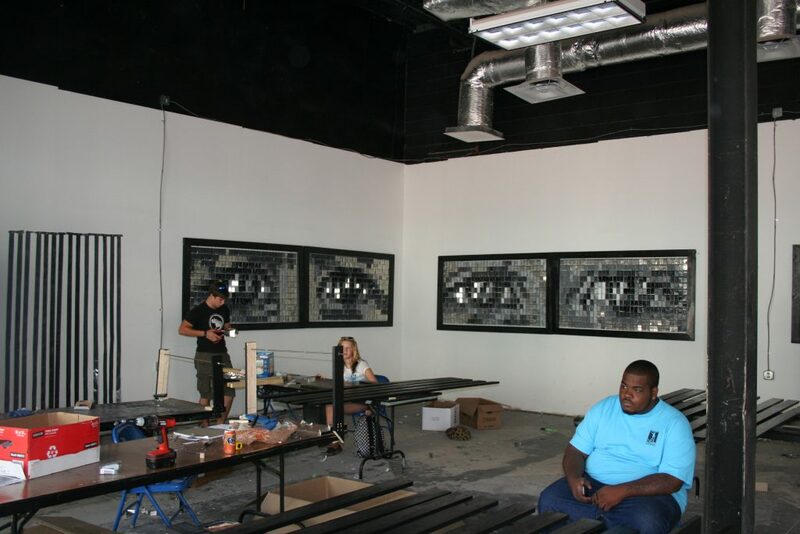 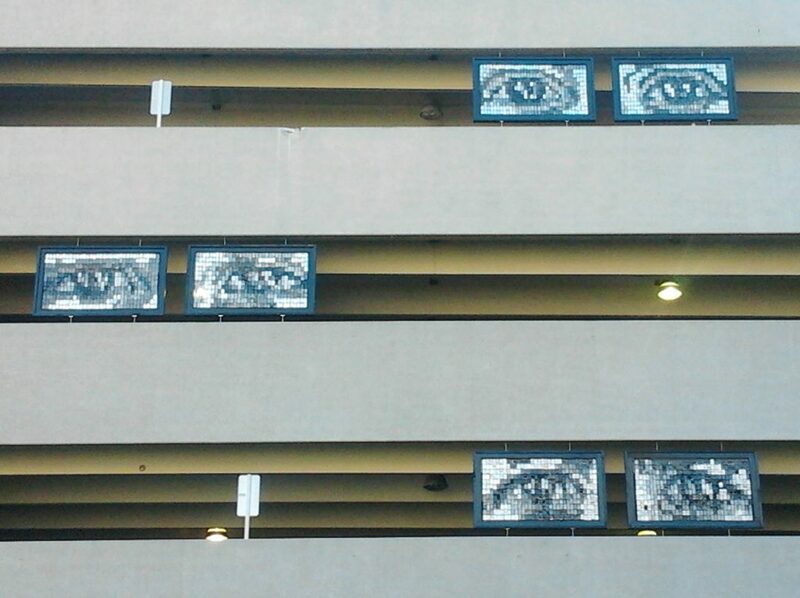 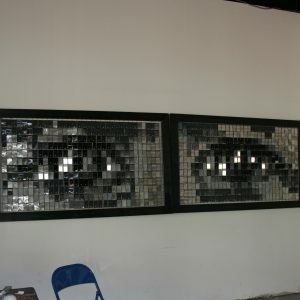 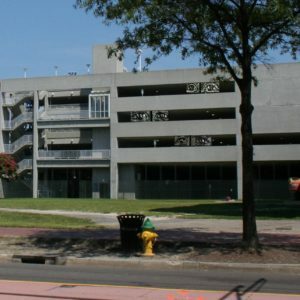 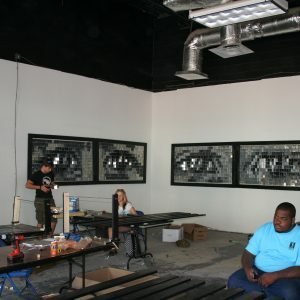 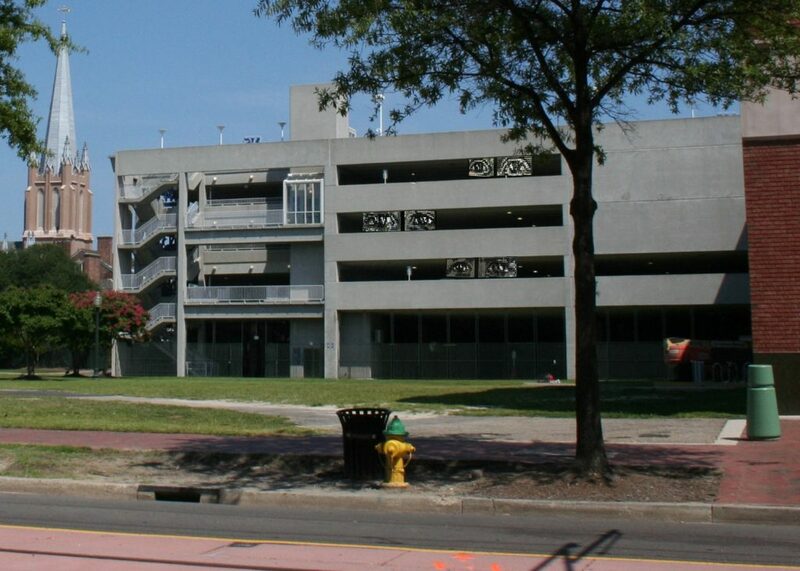 “Eyes” is located in the MacArthur North Parking Garage. 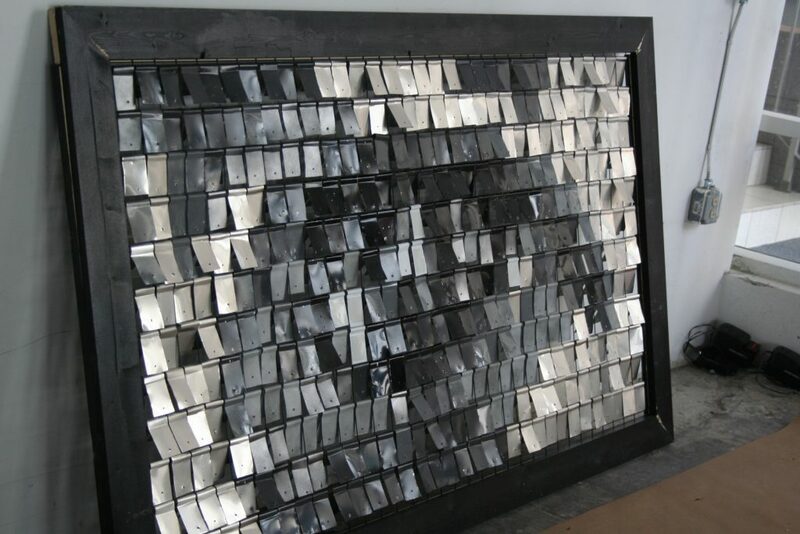 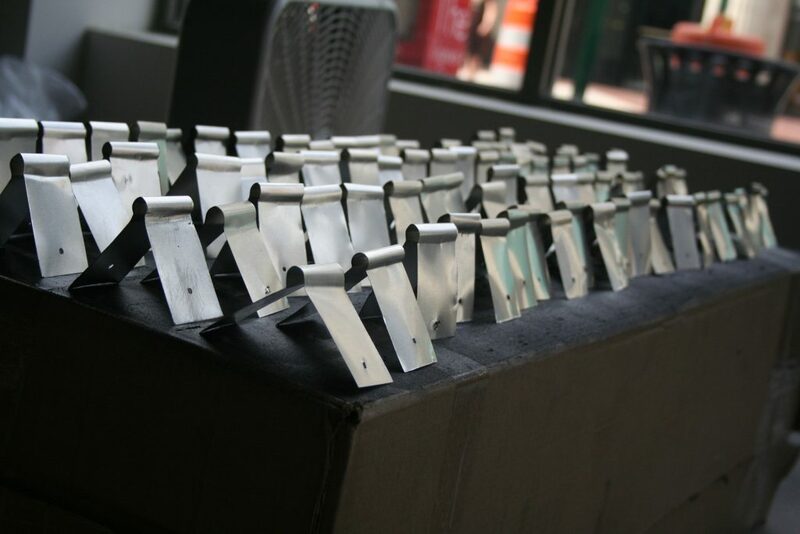 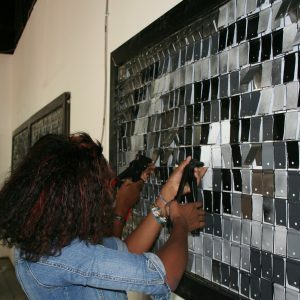 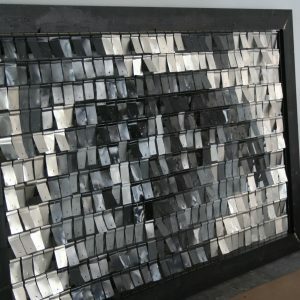 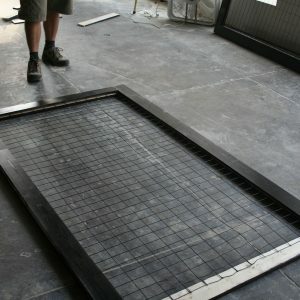 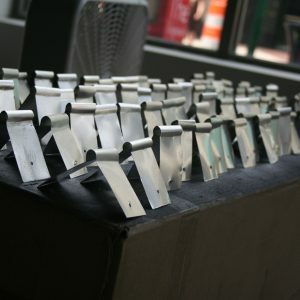 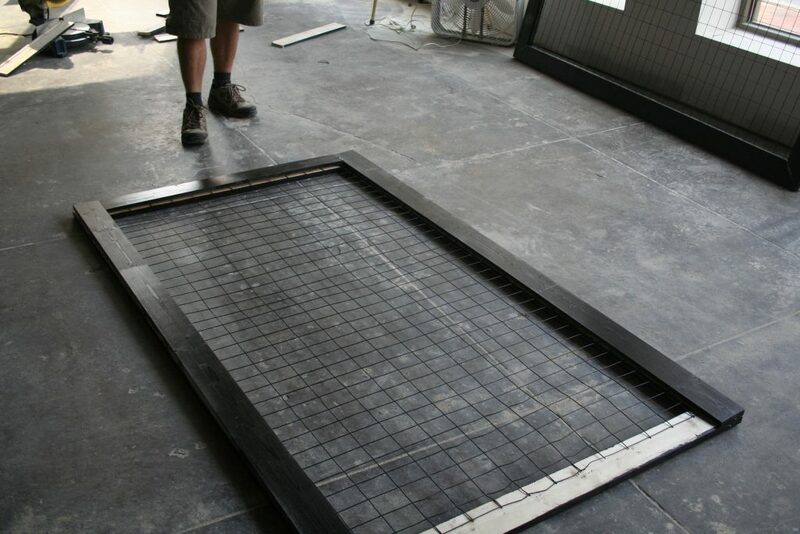 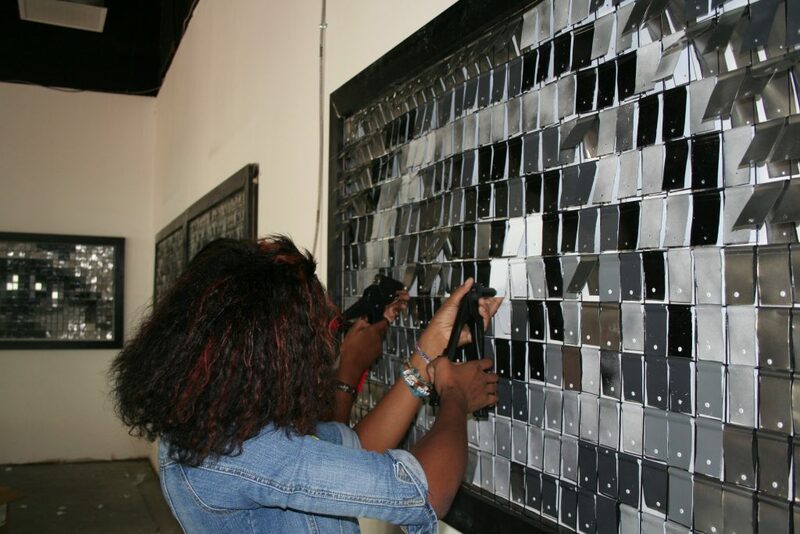 Constructed out of aluminum units that mimic computer pixels, this piece reminds us of our ability to connect deeply and emotionally even through technologically mediated experiences.